This letter is to compliment you on the excellent job being done by some of your employees. Yesterday a team came out to our home to install new fencing. This is the second time we have used Seegars. We were pleased with the chain link fencing job completed a few years back so we decided to try Seegars again. The project started with Augustus McLean coming out and discussing our options and providing an estimate and project time line. He was prompt, courteous and represented the Seegars Company in a very favorable light. I had told Gus that I was concerned about who they would send out to oversee the installation. I was told they would send out a very good foreman. Ronovan Jones is the foreman and I could not be more pleased. He and his helper Shimek Baldwin arrived on time, introduced themselves and went over the project with my wife and me, successfully answering the few questions my wife had. Both gentlemen were courteous and businesslike while they were here. When they left for the day the job site had been cleaned of all construction debris. We were told what to expect for the next stage of the project. My wife and I are very pleased and will contact Seegars for our next fence project. On behalf of my husband and I, a most sincere thanks for a job well done in repairing our fence. The repair crew sent was professional, courteous and worked tirelessly until the job was completed. I just wanted to say thank you for my beautiful fence. I love the look and I know it will last my lifetime. The folks that I have spoken with at Seegars including yourself have been most helpful with any concerns that I had. Please pass this along to Lisa and all of the employees that made this happen. Love the fence, guys were great and neighbors like it too! The fence is beautiful! You guys did a great job and we are so pleased with it. Would definitely recommend you! Thank you! Nicely done. Very pleased with the end product. The two Seegar’s employees were very professional, courteous, kept us informed as they went along, worked non-stop. When finished, they walked the fence with me and made sure we were pleased with the results and all our questions were answered. Will certainly recommend you and already have to our new neighbors! Excellent workmanship! Looks good and will definitely contact you when we replace the remaining fencing. Nice company with a good group of people. Thank you! Zach was helpful in estimating our account and contacted us with times available as well as choosing our type and color rail. Mr. Cruz and Diaz were competent, respectful and skilled at their craft. We would recommend Seegars Fence to anyone! Your team did an excellent job. They were polite and professional. Will call on you again if needed. Very happy with fence. Just what we wanted. Zach and his crew were very cordial and efficient. Removed all debris. Thanks! Very satisfied with the quality and speed of the work done by the team on the job. The gate meets and exceeds my expectations for sturdiness, looks and functionality. Thank you! Worked hard and did a beautiful job! Nice, nice workers from the office to the install! Robert Houihan and the installers were wonderful to work with. Robert went above and beyond to ensure that our custom railing requests were fulfulled to perfection. And, he also serviced/replaced 2 gate latches that I could not locate elsewhere. I sincerely appreciate everything! The installers, a team of two, ....,were perfectionists, which is totally aligned with my focus in everything. They were great! Thank you!!! I am writing this letter in reference to my experience with your company. I needed to have a fence installed for my front and back yards for safety issues for my special needs son. The first and only company I contacted was Seegars. John and Jeff came out to my home to discuss my needs and to see what they could provide for me. When I met them, I immediately liked both John & Jeff! They were very nice and professional! We discussed what my needs in fencing were, and they assured me that Seegars can provide their services. Within 2 weeks of their initial visit, the work began on my yards. The 2 men that installed my fence did a magnificent job! They were polite, professional, and efficient! I worked directly with Jeff. Jeff is new to Seegars, and I believe I was his first customer. Jeff was knowledgeable, professional, very nice, and a pleasure to work with! Thank you Seegars for making my yard safe, secured, and beautiful! I love the finished product, it looks great! I will definitely recommend your company to my family and friends! Thank you! Thank you! I am an “extremely beyond” satisfied customer! Your people were professional, competent and very communicative. Great job! Very pleased! The fence looks terrific and thank y’all so much for getting me situated and looking good! Great job!! Thank you for the excellent work on short notice! A+ Will use again!Thank you for the excellent work on short notice! A+ Will use again! Your staff provided excellent service. Installers were very efficient and the final product looks great! After inspection of the fence, it looks very good! Thank you for your professional work! Excellent work! Excellent workmen! Thank you for another well done job! Your employees were very professional, courteous, cheerful and seemed to enjoy their work. They are an asset to your company. We would be glad to give your company a recommendation. We are very pleased with our new fence, and many neighbors have commented on how good it looks. Thank you for a very professional job. We were especially impressed with your installers. They were very courteous and knew their jobs well. I just wanted to thank you for the wonderful job you did on our fence. My husband and I are very pleased with the way the project worked out. Your installation team did great work, especially considering the extreme heat they worked in. Excellent company and crew. Thanks. Both the estimator and the installers were extremely nice and knowledgeable of their product. I've received many compliments on my new fence and have shared the company that completed the job. Did a great job. Thank you for your help! We are very pleased with the fence The crew was very professional and represented your company well. I am putting the check for the balance due in the mail today. I'll send you a couple of pictures of the finished product. It really is an asset. Thanks again. Everyone involved performed in courteous, competent and professional manner. Thank you! Will definitely recommend you to others! Well, you did it again - made us a very satisfied and happy customer! Thank you for your patience as you worked to carefully take down our fence at our old home and transferred it to our new house in Lewisville. I know both ends of the job were a challenge, especially the reinstall with the very uneven ground, new sod, difficulty getting to the site and having to walk everything down our 200' driveway to avoid driving on the new concrete. Everything was done with the utmost care. Moving is always difficult but when we had our fence installed we felt at home, no longer having to worry about loosing our two dog "children". We love our fence!!! So thank you again for all of your hard work and attention to details. I will recommend you and Seegars to anyone who wants a great fence experience. Your staff is wonderful: I speak particularly of Zach, Louis, Michael and Mandy. There were some very minor problems and they were taken care of very promptly. Your staff is knowledgeable and professional. Highly recommend! Both men were very excellent, courteous and did a wonderful job! Will use again! Nathan and the installers did a top-notch job and were great to work with. I have enjoyed working with everyone at Seegars. Thank you so much for all of your help with my projects including the connection to the landscaping crew and the handrail fabricators. You guys did a great job working together and Pete followed through this week tweaking the front gate, adding a handle to the front gate and replacing some defective boards. I plan to contact Brian Griffith, the painter, in the early summer to arrange to have the fence painted white in July or August. In the meantime I thought I'd enclose some photos of the project. Please feel free to share them with everyone at Seegars and future customers. Included here is a thank you card from the kids in the special needs class at Stough Elementary who are enjoying their new fence!! The teachers can't say enough about how helpful this is for them! I love my new fence! Garry did a great job helping me planning it and Shelby’s installation is fantastic! I would highly recommend your company. Ollie, my dog, loves the freedom he now has to run and play to his heart’s content! This fence has defiantly improved the value of my home. I had a great experience with Seegars Fence Company for installation of fencing and a gate. Darryl Kennedy came out quickly to meet with me and spent a lot of time listening to what I wanted and then worked up different quotes for comparison so I could choose what would work best for me and my budget. Although it took me several weeks to make a final decision, Darryl patiently responded to all my questions and never rushed me to make a decision. Once I made a final decision and signed the contract, Darryl kept me updated on the progress of construction of my gate and the estimated date for installation. The ornamental aluminum fencing and custom automated gate are beautiful!! I am very satisfied with my choice of fence and gate as well as that I chose Seegars for this project. Darryl and the others from Seegars worked very hard to make sure I was completely satisfied. I would highly recommend Seegars for a quality job and good customer service. Rolando and Shimek did a wonderful job and were very professional and courteous - also hard working. We enjoyed having them as our crew. Lisa at the office was also a pleasure and a great representation of your company. Robert had the idea and product for just what we needed. He was the "answer man" for our situation! We are very pleased and love our fence. Thank you for living up to our expectations! We are repeat customers and will always recommend Seegars. All work was completed and everything looks great. The guys doing the work were very courteous and took time to answer all of our questions. We will definitely use Seegars Fence in the future! Excellent work. Very nice people. I appreciate good service and polite people. Thanks for your attention to my needs. Everything looks great. The men worked hard and steady in a very hot climate! I wanted to thank you, the fence came out great. I really appreciate you getting it scheduled for the perfect time for me. Mark and Dee were awesome, they worked extremely hard and did a great job. Was very obvious they wanted the job to be as perfect as possible including taking into account that we have small dogs. Great guys, please thank them again for me. Even my next door neighbor commented on what a great job they did and about how hard they worked all day. If I meet anyone else down there looking to put in a fence, I’ll definitely be recommending Seegars. We absolute love our new fence. Besides providing a means to secure our horse, it looks really great. We are also looking forward to NOT having to maintain the fence in the future. In the near future, we will call you back to fence our other pasture. You have good people who do good work, from Mike Worsley (my estimator) to the men who put up the fence. Thank you for great service. Fence looks great; workmanship is good and workers were knowledgeable and professional. Mark and Darrell did a great job and worked all day in the pouring rain! Thank you! Philip and Bo did a great job on the hand railing. Neighbors have commented on how nice the railing looks! Thanks for a job well done. Your guys are TOPS! Andy was great and so was the crew that fixed our fence. We appreciate the great service and the integrity that Andy lends your business. 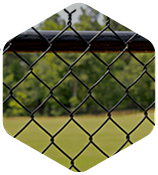 We’ll tell other folks and we’ll sure not hesitate to call you again for our fencing needs. Thanks for a job well done! The fence is absolutely gorgeous and I couldn't be more pleased. Thank you very much. I was home sick today so I got to meet Billy and the other gentleman. They were extremely polite and did such a superb job. Seegars is a great company and I have already recommended you to my son, who has just purchased a new home and will be needing fencing. I will be sure to tell everyone I can about your company's integrity and quality of craftsmanship. Our fence looks great! I enjoyed working with your guys…very professional. I wish you could’ve been here to see the smile on Lesley’s face! She was even more pleased with your work than me. I posted my review of you and Seegars on Angie’s List, naturally giving you guys straight A’s. I’d like you to know how much I appreciate your professionalism and your great “can do” attitude. I was in sales for 25 years and I know what it takes to make and close a sale. You did a great job. Lesley and I are both members of a 350 person club known as Greensboro Newcomers, which I believe Lesley mentioned. Your companies name is going on their website as an “A+” outfit to do business with. Thanks for all your attention to detail and your work to get the job done. Thanks to everyone at Seegars for such a pleasant experience with my new Ornamental Gate with operator. I would highly recommend Seegars. Thanks for the great work! I am very happy with the fence. Mark and his crew were very professional and did a wonderful job on the project. Thank you very much and I will refer your company whenever I can. Good job all around. Nice people! The work was completed swiftly, with excellent attention to detail. I am very happy with my new dog kennel. A very commendable job. Matches the existing fence completely. Your employees were knowledgeable, well trained, friendly and courteous. Thank you! We will definitely use you again should we need anything. Just wanted to tell you that the crew who installed our fence did a really great job. They were all business and worked all through the day, breaking only for lunch. Both were easy to talk with and asked our opinion when it was needed and we are satisfied with their work. I would appreciate you're letting them know that we are appreciative of their good, hard work. I know that we have only had the fence one day, but I would not hesitate to recommend Seegars Fence to anyone. While it remains to be seen over time how the material holds up, the workmanship is first class. Thanks to you and your crew. Seegars is a fantastic company! The staff is friendly, the response time is fast, and their quality of work is outstanding. I had Seegars install the fence on my very first home and couldn’t have asked for a better experience. We were first introduced to Seegars at the Home and Garden show and remembered the company when it came time for us to build a fence later in the year. We went through several fence company websites to request a quote for price comparisons and Seegars was the only one that responded to our request. Seegars quickly communicated back with us regarding the quote and asked for additional information on the fence options to ensure the quote would be accurate. 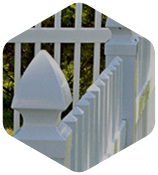 They allowed us to get quotes on several different fence styles to find the one that suited both our budget and our our desire to have a fence that gave us the look we wanted. Once we found the right style, Seegars came out to the house to verify the fence layout and scheduled the installation for the fence. The fence installers were professional, on time and did a great job of installing the fence and answering all of our questions about how to maintain the fence to keep it looking good for many years to come. 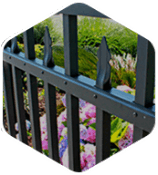 We enjoy our fence and have recommended Seegars to friends and family when we hear they are looking into getting a fence. Our newly installed Seegars Fence Company aluminum fence is just what we wanted. It adds value to our property and the folks from the office to the installers were great to work with. The process was seamless and the constant contact and updates were great. I would highly recommend them to anyone looking for a reputable fence company in our area. The fence and arbor were simply beautiful. It totally exceeded my expectations! The project from the beginning was made so easy by the professionalism and expertise of the personnel, from sales to construction. Thanks again for a great job! Jason Hill, Philip and Slim were all great and did a very good job. Thank you! Everything went very smooth…From Jason Hill’s initial visit to perform the estimate up until the work was completed. Awesome job! Nice Job – Great Looking Fence – Completely satisfied with everything. I understand you have requested references from Seegars Fence so I am responding to their request. I had Seegars install a fence at my home this past November. Our home is a 6 bedroom - 6 bath all brick residence on 3 acres with extensive landscaping. I share that only so you understand that a professional appearance and a fully functional product were of primary importance to me. The fence we ordered included their commercial aluminum decorative fence with two drive gates and a decorative walk gate placed in the front part of the property and some black vinyl clad chain-link which we placed in back. They also custom cut a couple of sections and installed it on the top of a brick retaining wall to match the height of the adjacent aluminum fence. We spent just under $15,000 with them. Seegars installed the fence about 3 weeks after receiving our deposit. Their crew was very professional and worked from sun up to sun down. They finished the installation in 3 days. They did a very professional job. They cleaned up thoroughly after themselves. I am a chemical engineer and avid woodworker so I am a hands on guy with high standards. They surpassed by expectations and I will use them them again. I have used Seegars since the mid 1990's. Residential and commercial - small and large jobs. Always good, and I am pretty particular about how things get done. I always price them against one or two other reputable companies to keep everyone on the level, but Seegars is always my first choice. Fence is very attractive. Installation went well. Mr. Jason Hill was very professional and he responded in a timely manner when I called or emailed him with questions. We are pleased with the product! A+++ This is our second fence we added to our property and both times were great! No problems whatsoever. Staff was professional, very friendly and helpful! The guys did a great job. We would use them again. I wanted to personally thank you and your staff for the job they did on installing my 5 foot privacy fence. Robert was extremely knowledgeable and helpful in making this process smooth and effortless. The two members of your staff that installed the fence did an exemplary job. With the challenges of mother nature this week, they completed the fence in a timely manner and I am extremely happy with the outcome. Seegars has met all my expectations and more. I will refer you to friends, family and neighbors. I know that people are quick to get behind their laptops and fire an email with a complaint, but no one takes the time anymore to commend someone on a job well done. You run a top notch business and have a great staff working for you. I am friends with Terry Evans from Black Rhino Homes and he highly recommended you and your staff. I also spoke with a few of my neighbors that had fences installed by Seegars and they were all happy with the work that was done. We are very pleased with the work. Very professional! Very efficient! Seegars Fence Co. has our highest recommendation. Excellent work. Very happy with the workmanship. Will definitely use you for any future projects. Thank you! Dear Mr. Seegars, I want to thank you and Seegars Fence Company for helping with the construction of our riding ring fence last month. This project was finished just in time for the start of our fall lesson program, and gives us a much more secure location in which to conduct our lessons, especially for those students who ride independently. Your donation of the equipment and labor to install the fence posts not only made the installation much faster but also helped us accomplish this project without an additional burden to our operating budget. Because all of our equine assisted activity programs are offered at reduced cost to keep participation affordable for our students, about 70% of our annual operating expenses are met by donations, grants, and fund raising activities. Over 85% of all funds raised directly support our lesson program. Therefor, using our funds wisely is critical to the survival of Rocking Horse Ranch. Every in-kind donation allows us to maximize all available funds to provide direct services to our students. In 2011-12, 105 children and adults from Pitt and 9 surrounding counties in eastern North Carolina participated in at least one 10-12 week lesson session. Their diagnoses ranged from cerebral palsy, Down Syndrome, traumatic brain injury, cancer, and stroke to ADHD and autism. None of these students would have been able to safely and successfully participate in equine assisted activities except in a setting that provided special accommodations and instructors trained to help each student reach his/her potential. We are very grateful to each of our community partners whose contributions allow Rocking Horse Ranch offer this unique, beneficial, and affordable experience to children and adults with disabilities. Please know that we would always welcome your visit to Rocking Horse Ranch so that you can see first-hand the results of your support in the achievements of our students. On their behalf, thank you once again. Moran, Director - Rocking Horse Ranch Therapeutic Riding Program, Inc. The fence is beautiful and exactly what we wanted. It was put up quickly and efficiently. Thank you so much! On behalf of Osborne Comany, Inc., I would like to thank you and your company for the outstanding work recently completed on the Goodwill - Mayodan, NC project. Thanks to the fantastic effort by your team, the project looks great and we were able to deliver the building approximately four weeks early. Both Goodwill and Osborne Company are proud of the finished project. Once again, please accept my sincere appreciation for your role in making this such a successful project. We hope to have more opportunities to work together in the near future. Thank you again for a job well done! I really appreciate the quality work and responsiveness we got from Seegars on this project and will be sure to recommend you to our Estimating Dept next time we are bidding in your area. I'm writing to let you know how happy we are with our fence! Honestly, from our first contact with you Angelo and your company, we have been totally satisfied. We strongly recommend Angelo Ponzo for any job that requires quick thinking, great organizational skills and a pleasant demeanor when working with people. Sharon and I had the pleasure of being one of Angelo’s satisfied customers when he served as an agent for our needs of a fence being installed. Angelo was efficient and effective in his professional role, but also took the time with us and showed a genuine interest in our concerns and was very knowledgeable with the product." The pride your workers took in their job showed with the care and attention to details big and small. They were extremely conscientious and even thought ahead to suggest to us if moving from this house, we could take the fence with us. I am extremely impressed to come across tradesmen who take such care and put such thought into their job. Great employees, pleasure to work with. I recommended you to two other families on base." Just saying thanks for taking care of my fence. You can't even tell where it was connected. I think those poles will hold pretty well, they seem to be pretty sturdy. Just letting you know my family appreciates your service. Hope this nice weather helps your business pick up. 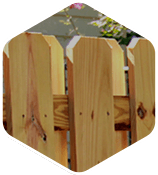 If I know someone looking a GREAT fence and a GREAT company, I will tell them to only call you. That's why I keep your name plate hanging on my fence." Several months ago, my husband and I purchased a house and needed to have a fence installed. I called five different fence companies — one of which never returned my call, one that came out but never provided me with a quote, and three that I actually chose between, Seegars being one of them. By the time I met with Josh, he was the fifth person I had called. I was unhappy and thought the fence process was way too complicated. Josh was fantasitic! He walked my property with me and actually listened to what I wanted instead of trying to sell me something we couldn't put up. He had done work in our neighborhood in the past and knew what types of fences we were allowed to build (I didn't know because we had just moved in). He gave me some material for me to keep that was very professional and told me he would email me a quote within the next 24 hours. I got the quote the next morning and his bid was several hundred dollars cheaper than either of the other two I had received. I did not make my decision based on price — I made my decison based on Josh's professionalism, customer service, and the quality product he had to offer. I never felt like Josh tried to sell me anything. He offered me two options that exactly met what I told him I wanted and fit within our covenant restrictions. We signed the contract and Josh stayed with us through the entire process. He came out the day before they started the work and laid out the outline of the fence for me. I made lots of changes and he took it all in stride. He kept assuring me that he wanted me to be happy. He was very easy to work with and I felt like I was his only customer. My project was not huge, but I felt like it was a million-dollar deal working with him. They started the project the day after they laid the fence out and completed it in two days. My fence is beautiful — there was no mess left behind, and we have neighbors stop to ask us who installed it. I couldn't be more pleased with the service I received or the quality of the fence that was installed. I recommedn Seegars to anyone looking for a fence!" I would like to thank Sam Caison and Perry Smith for their assistances during our recent Force on Force here at Brunswick Nuclear Plant. Sam and Perry represented your company well. They worked safe and efficient to complete repairs to our fencing. They were also professional during all interactions with our security force and plant personnel. During one of the repairs, I noted that Sam was assisting Perry with learning your company’s core values. I appreciated their sense of urgency in the repairs because it was very important that the repairs be completed in a timely manner. I would like to close saying Sam and Perry did a great job and represented your company in the best possible way. Their professionalism and efficiency did not go unnoticed and your company is at the top of my list for future fencing projects." I was very impressed with the gentlemen (Sam White and Philip McGee) that installed my fence. They were probably the best professional team I have encountered in six months of intensive renovations. They have an uncanny ability to really represent your company with a sense of pride for what they do, what you are doing with the company, and what the company represents. As a business person, I am sure you understand the importance to a company to have this type or representation in the field. They are both an asset to you as employees." Very nice job! Great work, prompt service, professional staff! Thank you!" Overall, our experience with you guys was great — from the quick response on coming out to give us an estimate to the quick turn around on installation. 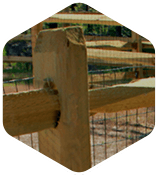 Your pricing beat the competition on the grade of fencing we were looking for. We would recommend you to all our friends and family looking for fencing needs. Again, thank you for your services." You and your team's customer service has been fantastic and I just wanted to thank you all for everything. We are very happy with the fence and would refer Seegars to anyone! Thanks again!" I have had many complements on the quality fence installed by Seegars. It was a positive experience from the time your representative came to give an estimate until the fence was completed. The entire staff was professional and friendly. Every person involved was punctual. The installers kept everything neat as they worked quickly and efficiently. They could not have done a better job. Thank you for a fence to be proud of for years to come." Jason Hill was very professional and cordial and responsive to all of my questions concerning the fence. Sam White and his team put in the most beautiful fence we have ever seen! Your company is wonderful! Thank you!"